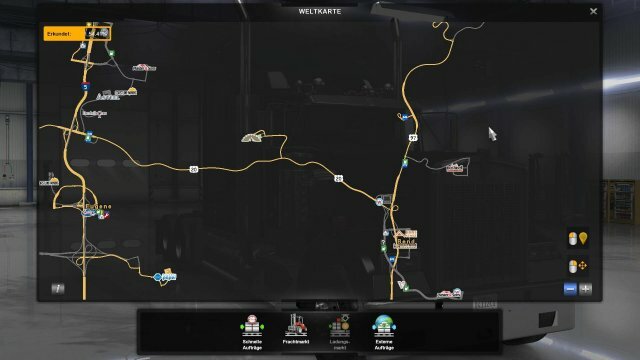 A simple guide to easily get all the new Oregon DLC Achievements in a single day! With the new Oregon DLC 5 new achievements were activated and can be earned. 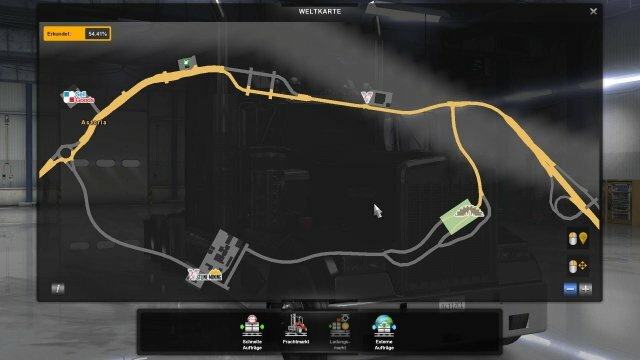 In this guide I will show you a good way in getting these achievements quickly as well as provide you with the locations you have to visit in order to get them. These achievements can be done fairly quickly but you should at least allocate 5-10 hours of your time to do it (depending on how quickly you do it). With no further ado, let's get into this. 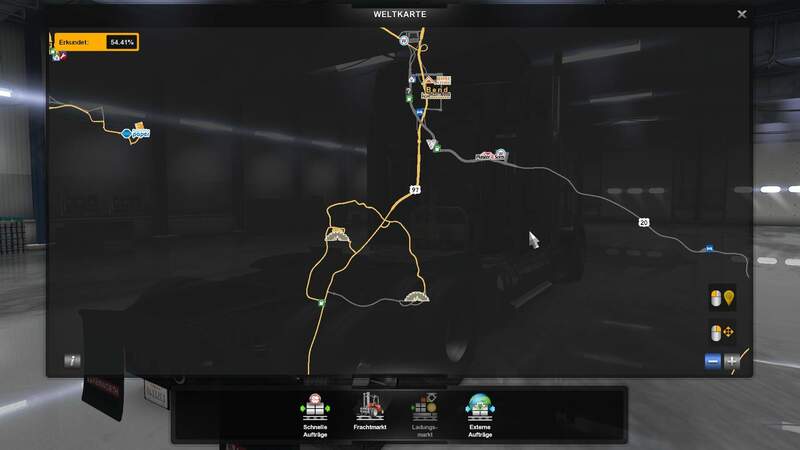 Probably the most straight-forward out of all the achievements; Simply visit every new city of the Oregon DLC by driving into it. 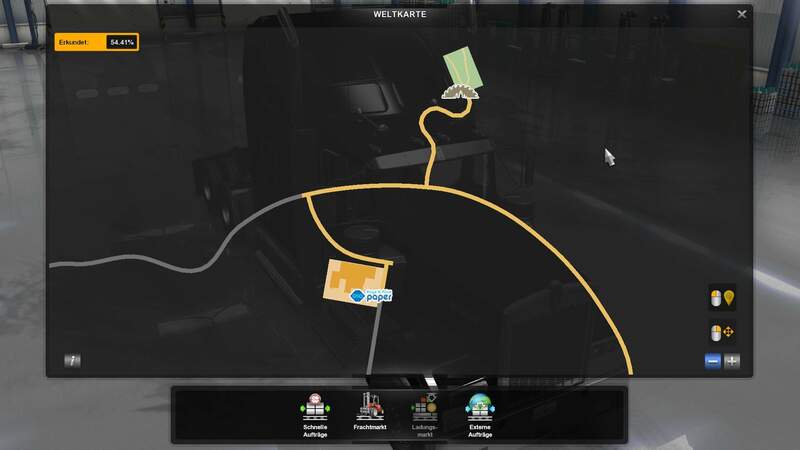 Just passing through a city will also work, you don't need to finish a delivery to make it count. 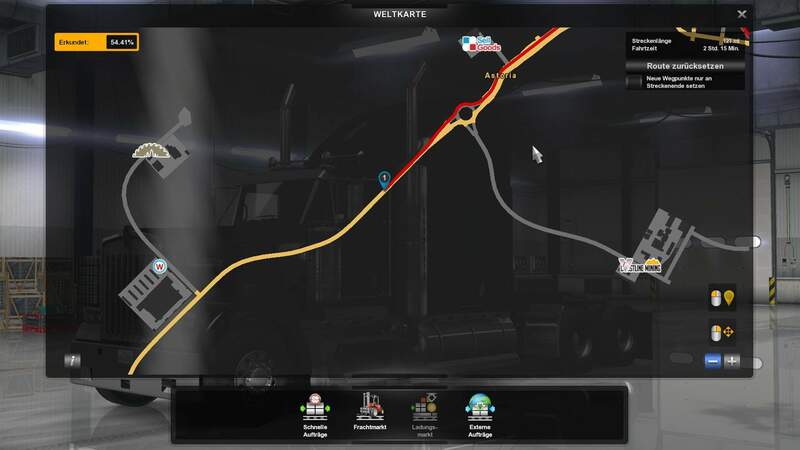 Some updates can be done from a highway, but sometimes it requires you to drive off the highway into the city to get the achievement update. 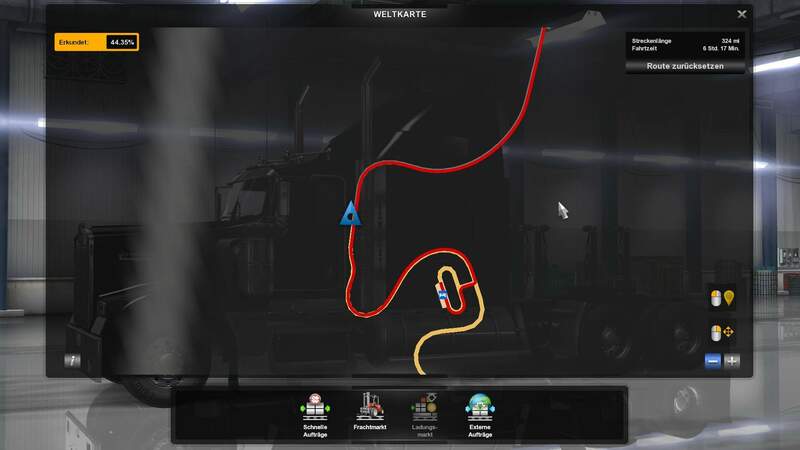 I prepared an optimal route for it so you can get this achievement while also getting a bunch of the others with no effort. 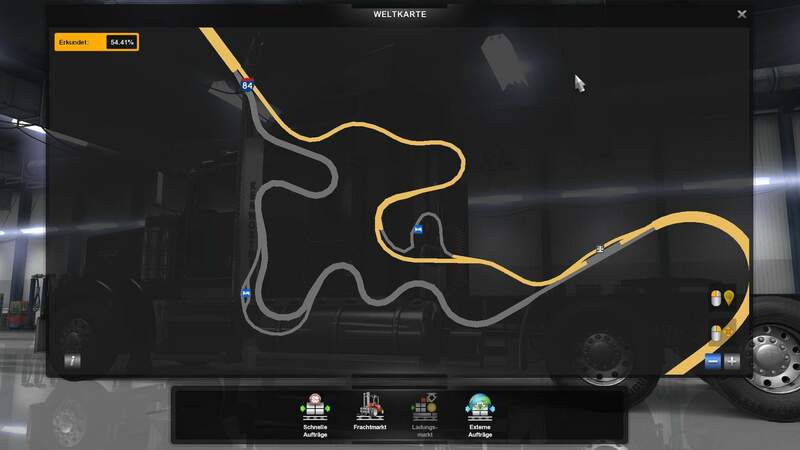 You can see the route at the bottom of the page. But for now lets continue with the next achievements. This achievement requires you to visit 4 landmarks. Thor's Well, Yaquina Head Lighthouse, Crater Lake and Crooked River Gorge. You will also be able to visit those on the achievement route I'm going to give you later. For now I provide you with screenshots where you can find all the landmarks if you are missing some or want to do them individually. Can be found on Route 101 between Coos Bay and Newport. 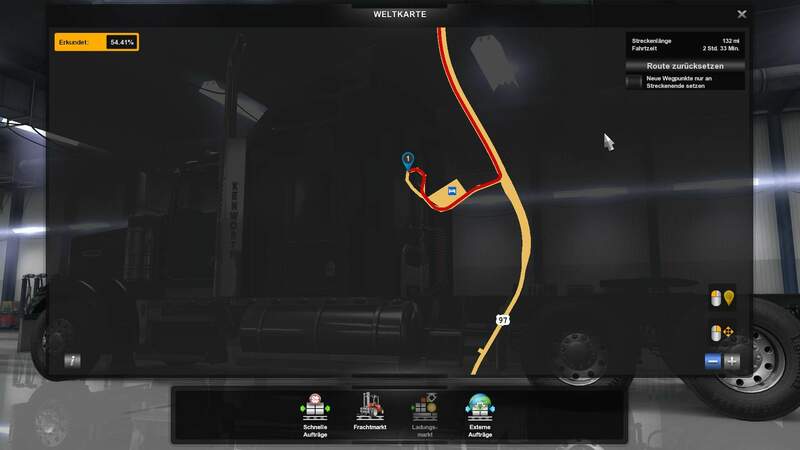 It is a small rest place which is not on the map, at this location (The ARROW on the screenshot and NOT where the route starts). Can also be found while travelling the Route 101, this time right after Newport, to the nort of the city. You have to drive off the Route 101 onto a small road to get to it. To get to this landmark you have to take Route 97 from Bend to Klamath Falls and drive off into a street leading to a toll gate. Once passing the toll gate and after driving about 30 miles, you will reach a small area right next to the lake. Can also be found by traveling the Route 97 but this time north of Bend on the way to The Dalles. Just after leading Bend to the north and after the small gas station and the road leading to the Bushnell company, you will encounter a small road to the left next which leads to a small resting area. 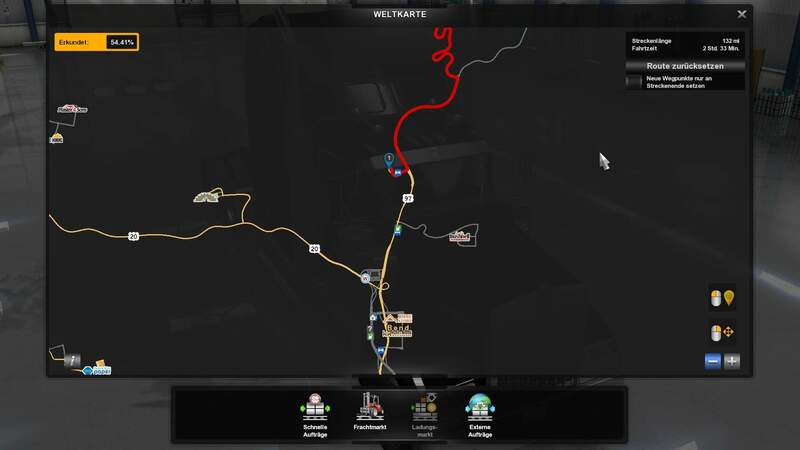 The location is found once you drove around the U-turn road thingy (however you may call it). Probably the easiest Achievement to get since it just requires you to drive on a single road section. Specifically, you are driving over a bridge which lifts when a boat comes to pass the bridge (hence the name uplifting). The bridge can be found on Route 101 right before the Astoria text on the map (Approximately where the marker is on the screenshot). 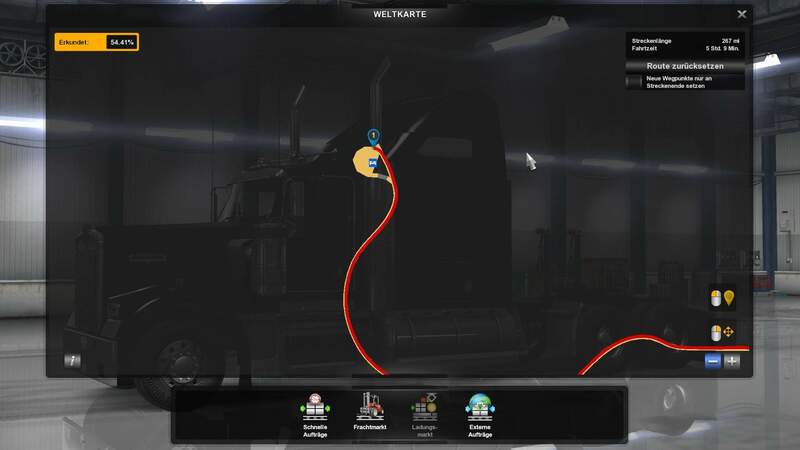 This achievement can be unlocked while driving on the Route 84 at a specific spot between Pendleton and Ontario. However, as already said in the achievement description you need to deliver vegetables while taking this route to get it unlocked. Now there are evegatables and frozen vegetables in the game. I unlocked it by delivering just vegetables and I don't know if it also unlocks by delivering frozen vegetables. If someone finds out let me know. Anyway, since it requires a special commodity you need to search in your market for that commodity, and the route has to be over Route 84. This might require a bit of sleeping to refresh the board until you find a suitable one. 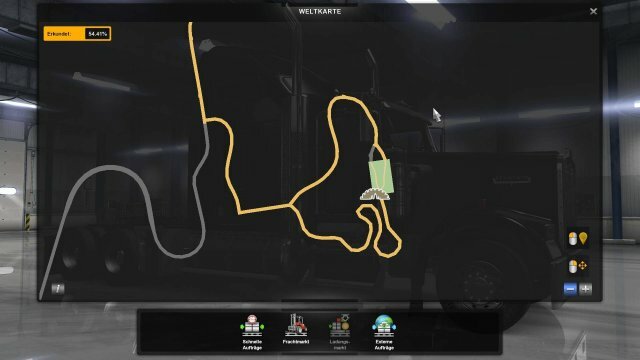 Optimal would be one that lies on the route I'm going to suggest at the bottom of this guide, if it is not possible just try to do this by doing a quick job and playing around with the routing so it goes over Route 84. 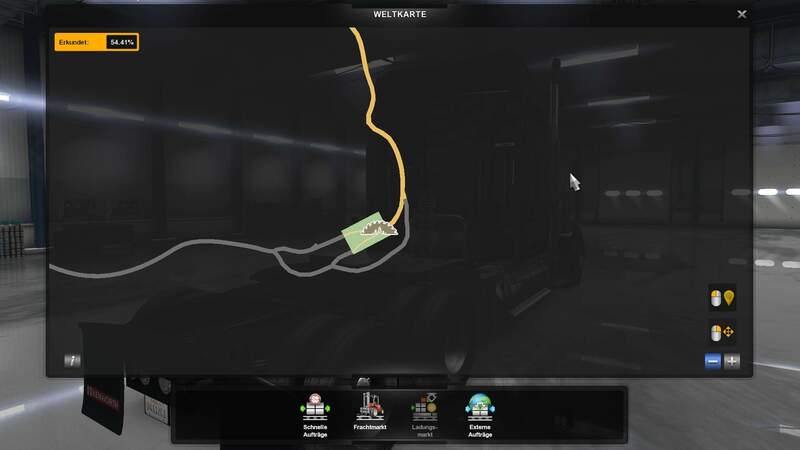 The achievement unlocks once you enter the passage from either direction on the following screenshot, so you don't have to finish the delivery (contrary to what the achievement description says). 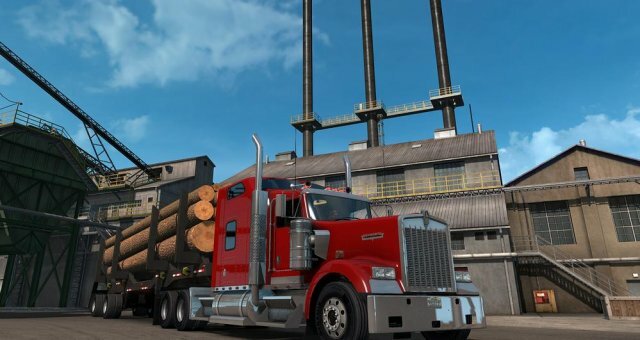 This achievement requires you to transport a commodity from each of the 5 timber harvest sites in Oregon. On the map, the harvest sites are always marked by what appears to be a half of a sawblade as symbol. Since there are more than 5 areas with this symbol in Oregon you have to look at what the area looks like. If there are no buildings (black squares) marked inside the area, it is a harvest site. 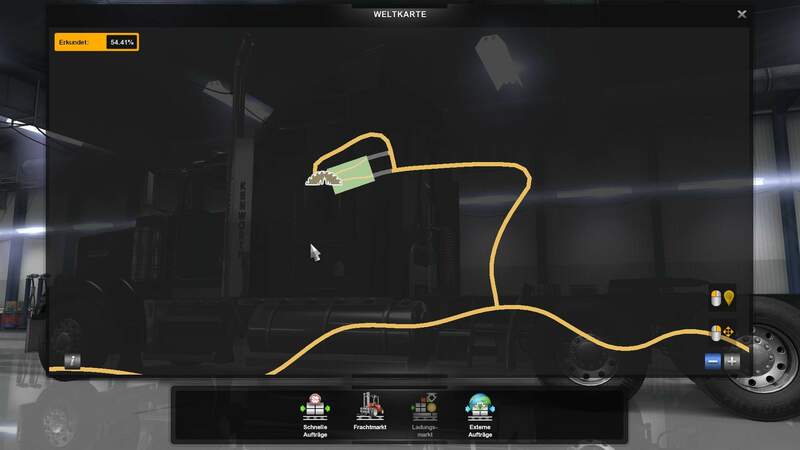 Now these can also be done while doing the route which I will explain later, but it might be difficult because sometimes there are no deliveries starting there or they go somewhere not following the route. So what I would recommend to avoid unnecessary headaches is to check before you reach an area where one of these sites is, if there is a suitable delivery or not and sleep if necessary to refresh the board. If you can't find any, then just move on. These can easily be done later by doing quick jobs. The first one can be found to the east of Newport. The second one can be found in Astoria. The third one can be found to the east of Salem (even though Bend is closer, this site belongs to Salem and therefore you have to visit Salem before you can find jobs from this one). The fourth one can be found to the south-west of Medford. The fifth one can be found to the south of Bend. 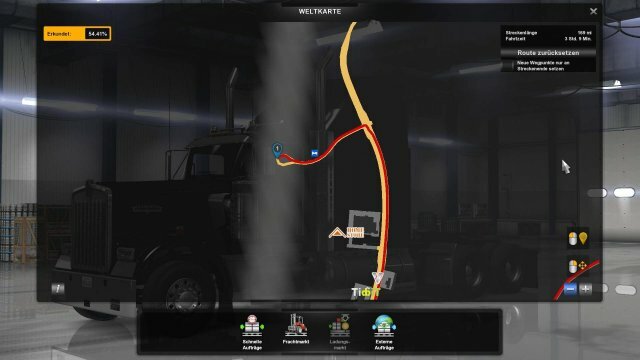 Here is a screenshot of a route I find pretty efficient in order to get most of the achievements. You Start in Eureka and make your way up to Coos Bay (Route 101). Drive from Coos Bay to Newport and you find the first landmark on the way: Thor's Well. Right after Newport on the way to Astoria (Route 101), you find the second landmark: Yaquina Head Lighthouse. On the way to Astoria (Route 101)you will find the bridge which will give you the Uplifting achievement. From Astoria drive through Portland to Salem. From Salem drive through Eugene to Medford. Drive from Medford over Hornbrook to Klamath Falls. Drive from Klamath Falls to Bend (Route 97) and you will find the third landmark on the way: Crater Lake. On the way on Route 97 from Bend to The Dalles, you will find the last landmark: Crooked River Gorge. 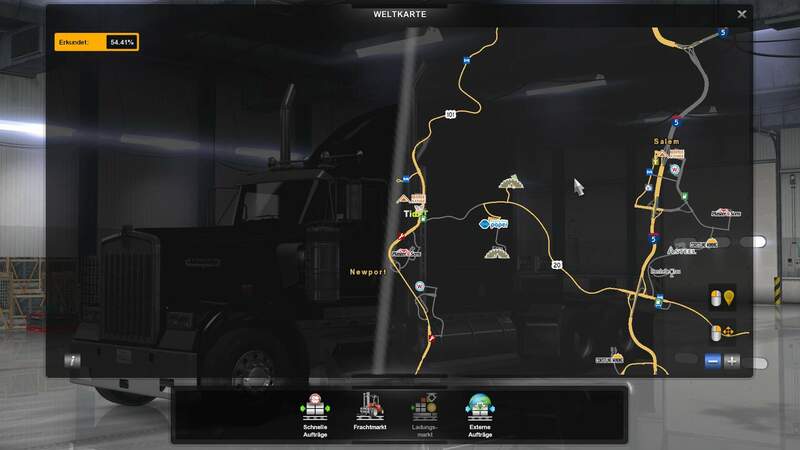 In The Dalles you should be looking for a transport of vegetables for the Cabbage to Cabbage achievement already. It can basically go anywhere. 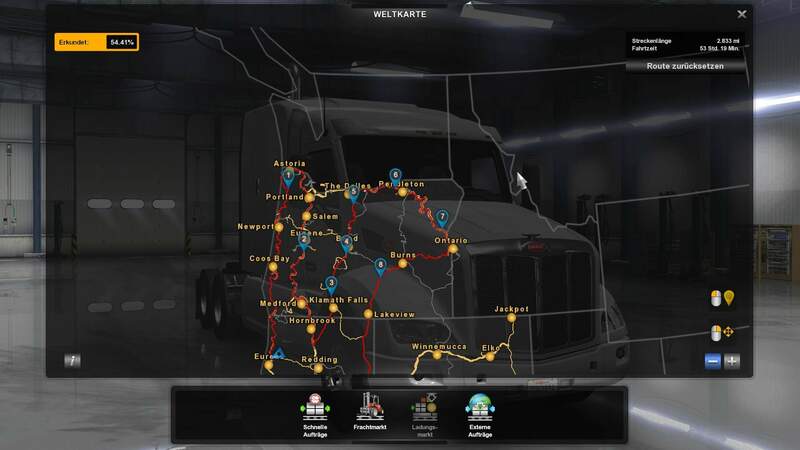 Just make sure to lay out a route which goes through Pendleton, Ontario, Burns and Lakeview which are the last 4 cities you require for the Beaver State achievement. 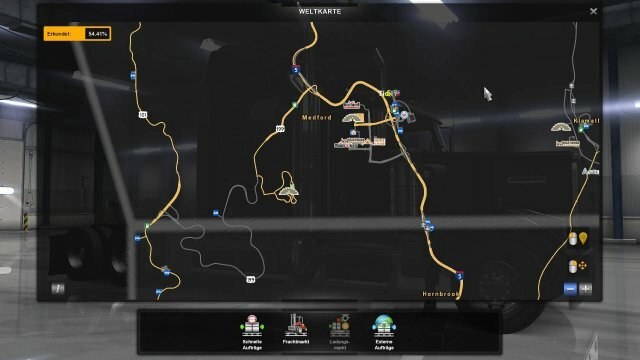 Also make sure you use Route 84 from Pendleton to Ontario because that is the Route where you get the achievement on! In case you don't find any delivery in The Dalles even after refreshing the board by sleeping, you can move on to Pendleton by taking Route 84. But Pendleton is your LAST chance in this route to get a vegetable transport for the Cabbage to Cabbage achievement. If you take one from here, make sure you take Route 84 to Ontario next and after that lay the route through Burns and Lakeview. If you decide not to take a delivery or can't find one, you can do this later by doing a quick job and laying the route through this specific point. Whatever choice you made above, you have to take Route 84 from The Dalles over Pendleton to Ontario. From Ontario you drive to Burns and from Burns you drive to Lakeview. 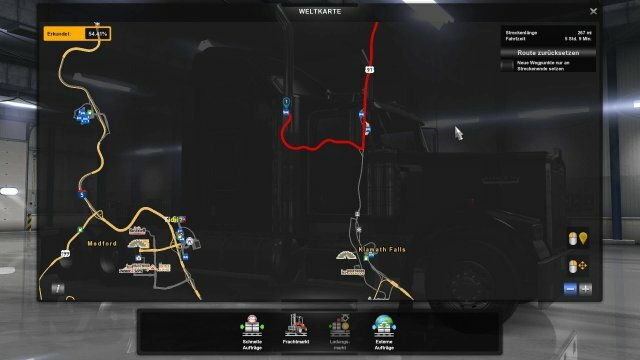 You should get the Beaver State achievement upon visiting Lakeview which completes this route. Look for a transport from Newport's timber harvest site to Astoria. 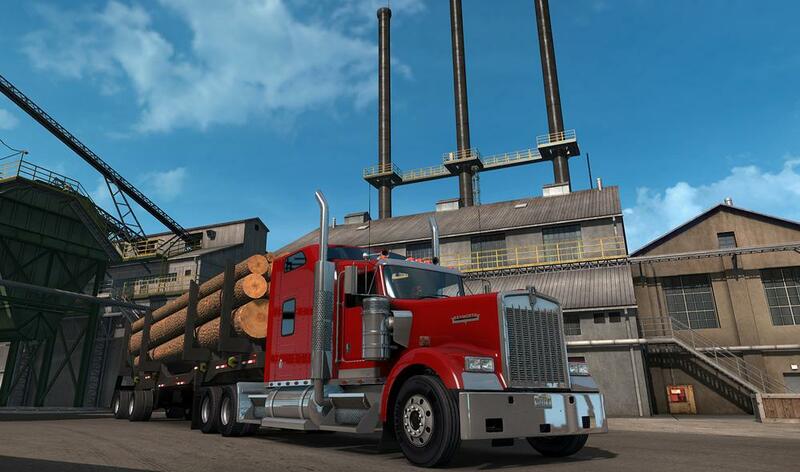 Look for a transport from Astoria's timber harvest site to either Portland or Salem. Look for a transport from Salem's timber harvest site to only either Eugene or Medford. Look for a transport from the timber harvest site in Medford to either Klamath Falls or Bend. Look for a transport from the timber harvest site in Bend to either The Dalles or Pendleton. Now, I would recommend to only do those when one of them is conveniently available. If not just ignore them, because after you are done with the route, you can just do the ones you missed by doing quick jobs.